Pakistani press publicized in the summer of 2010 that a hobby scientist managed to produce as much as 3 volts direct current by launching a 10 square foot kite. The young man by the name of Shakeel Amir resides in Shirin Muafi, a village close to the city of Okara. The AFA (NGO) Center of Technology Transfer and Training in the village of Thatta Ghulamka Dhiroka plans another experiment using no source of power at all (prior experiments required electricity!) to improve the results. As with other NGO projects, the results of the latest experiments are supposed to improve the situation in the rural areas where insufficient technical infrastructure leads to various shortcomings. There is a continuous demand for decentralized power supply due to the fact that no help from the city can be expected. Mud Housing Project started in October 2010 on the premises of Peerzada Cultural Complex (PCC), in which three types of mud houses and use of appropriate technology was introduced to the interested public. 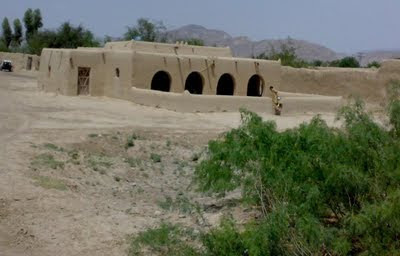 Examples of mud houses in rural areas and areas affected by the Indus flooding. Motivation for students of architecture for the purpose of experimentation, measurement and study of concepts in order to develop strategy for helping the affected population of the catastrophe. Residence for craftsmen, who belong to areas far away from Lahore. Of course, one of the main objectives was also to motivate the urban population towards construction of more energy efficient houses. With the scarcity of energy in current times, this is an important objective for public as well as private application. We must provide a platform for the students to start experimenting. 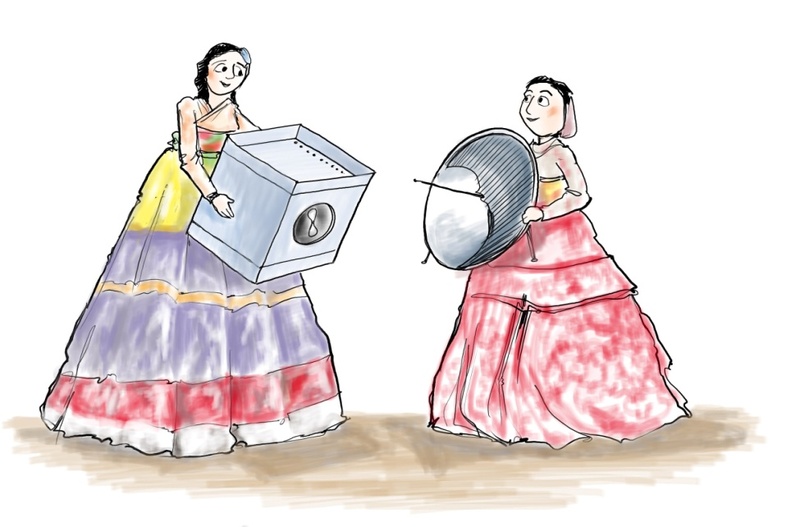 The illustration shows Sohni and Rani, who are explaining the functionality of alternative technology devices to each other. Our main contribution here is to show the simultaneous use of the construction material mud in harmony with appropriate technology, which will be done in a playful manner in a workshop for children. We connect thereby entertainment and education. To achieve the purpose, among others, alternative energy is used to make cakes and hot chocolate for children. The AFA (NGO), SPARC (NGO), FPAC, SES Bonn, as well as German Embassy supports the project. Readers here may remember the Mud House Project that was inaugurated in October 2010 at Peerzada Cultural Complex, Green Acre, Lahore? Now another type of housing concept is under way which will include an improved version of the Solar Cooker and a Wind Energy System using a Kite. This is another type of low cost low-technology solutions not only for the rural areas but also worth considering for urban areas that can help build eco friendly energy efficient housing and autonomous technical infra-structure.